After two weeks of hiatus, Mobile Suit Gundam: Iron-Blooded Orphans finally returns to the airwaves. Like the first season, the start of the second half begins on a rather dour note, and Tekkadan is once again at the center of it all as the world tries to overwhelm them. The events at this juncture however seems to hit a more personal level than the events of Dort ever did, despite the immense effects it had on Kudelia and Biscuit. The Turbine transplants at Tekkadan (Lafter, Azee, and Echo), after stating it so many times in this series that they would, finally depart to rejoin Naze and the rest of the Turbines. The opening scene is a good way to see them off, and you can tell how the departure is quite sad for all of them. The real crux of the farewell’s emotional pathos comes from a personal scene between Akihiro and Lafter. The latter doesn’t confess her feelings to the former, but you can tell how much has changed since their first encounter. Once the most ardent opponents now are the most bosom of buddies. Funny really since I keep falling into the enemy/rival romance trope in this show, for I thought Lafter and Mika might be something, and now it’s Julieta and Mika. Yet I like these developments better. I guess that’s why I don’t write for animu. 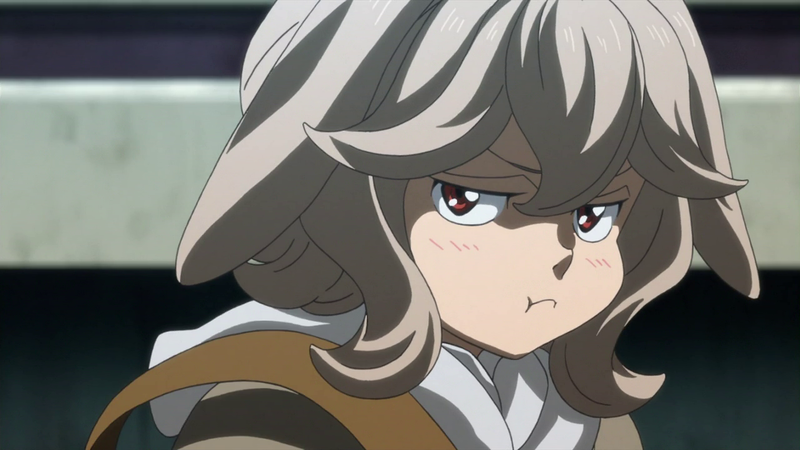 More interesting development is a surprising extension of the last major scene with Atra and Kudelia. Instead of leaving things as it is after that shocking revelation, Kudelia instead gets Atra to calm down and explain her rationale. Flashbacking during a scene where Mika is tethered to the Barbatos, and Atra notes how it is like an umbilical cord, it helps to denote Atra’s own insecurities with herself as well as her ability to keep Mika alive. 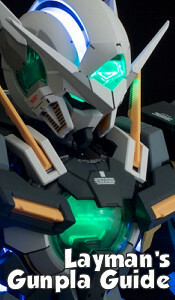 The rationale is that having a baby would convince Mika to give into a responsible nature and stay around to raise the child, as per the advice of Atra’s previous employer. One could say this is kinda misogynistic and relegates great female characters to the role of childbearers but yet… What else could Atra think of? She’s not an ace fighter, she’s not a maiden of revolution, but she always does her best no matter what, and loves Mika sincerely and without reservation that she will do anything to keep him alive. Then again, Mika is stubborn, dense, and uninterested in babies so it’s really an uphill battle there. It’s a blessing however that these characters are so great, and instead of just groaning about all this I instead hope for the best in whatever end they strive towards. This will be a problem however since this is all set in the backdrop of Jasley’s plan to cripple Tekkadan. Cleverly, he instead seeks to isolate the Turbines from both Teiwaz and Tekkadan. Using an overeager Iok, who now has a weapon once used in the Calamity War (a railgun as found on the new Flauros), Jasley makes his move this episode to end the Turbines, thus heightening the emotional impact of the episode. If that is not enough, we actually get flashbacks to Naze and Amida’s past and see how this upstart trafficker and mercenary built an all-woman trucking empire and how Naze came to Teiwaz. I guess it’s nice to see that and juxtapose it to Orga’s plans, despite a few things. One, it’s weird how dangerous trucker jobs is now something a man is afraid of but a woman isn’t (I guess men like to be space seamstresses in the Post Calamity War era). Second, I guess it means the Turbines time is up. You know this kind of drill; we know a lot of a set of characters in an episode of Gundam, only to find it will be a tee-up to their inevitable demise. The only question remaining then is who will survive the onslaught (especially all their kids), and what will that mean for Tekkadan in the future? Naze seems to accept his fate gladly despite the reservations of Orga, and all Orga can do is worry about something he can’t control. Mika on the other hand I’m intrigued with, since for some reason he has a meeting with McMurdo alongside only Atra and Hush, then the last events of this episode occur. With Mika kinda being held ‘hostage’ and thus incapable of joining them (I think), we can only wait with anticipation with what happens next week. New OP. This series has an incredibly strong set of OPs in both music and visuals. Really hard to place all of them in a list because they do so well. ED is okay. Kinda melancholic but fitting at this juncture of the show. The third one is still the best followed by OOOOOOOOORPHANS NAMIDA, then followed by the 1st Season’s 2nd ED. These pieces are really no slouch.